Geelong Grammar School boasts an international reputation as a pioneer of modern education, reinforced through the recent introduction of its transformational Positive Education programme. From its origins in 1855, the School has always had a distinctive character. 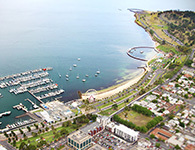 After outgrowing several Geelong locations the School moved to a 245-hectare site on the edge of Corio Bay in 1914, creating the unique learning and living environment that exists today. In 1953 it established Timbertop, a remote campus in the foothills of the Victorian Alps where the School’s Year 9 students spend a full school year living, working and studying in the Australian bush. Timbertop is a unique educational adventure that teaches valuable life skills, building confidence, resilience and independence. The School became co-educational in the early 1970s, preparing students for the dynamic of the modern world through enabling boys and girls to live and learn alongside each other. It introduced its ground-breaking Positive Education programme in 2009. Developed from the science of Positive Psychology in collaboration with Professor Martin Seligman and his team from the University of Pennsylvania, Positive Education focuses on cultivating positive emotions and character traits, encouraging students to find purpose and lead engaged and meaningful lives. Positive Education is taught at each year level, at every campus and across all aspects of school life. Geelong Grammar School is an independent Anglican co-educational boarding and day school. It is Australia’s largest co-educational boarding school, spread across four specialist campuses. It has a non-selective enrolment policy and more than 1,500 students from Early Learning to Year 12, including more than 850 boarders. The Schools offers both the Victorian Certificate of Education (VCE) and the International Baccalaureate (IB) Diploma for entry into tertiary study.